Home AnalyticsBusiness Intelligence	Dundas BI Review 2018. 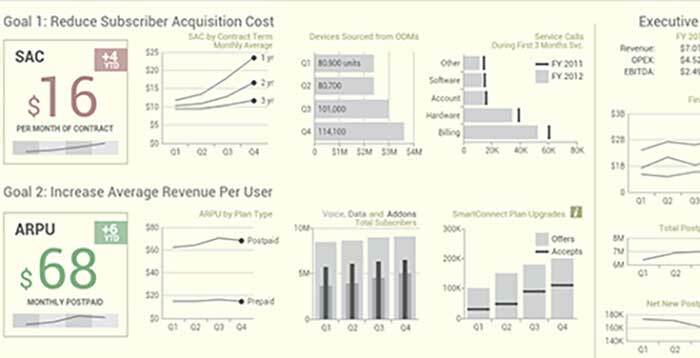 Dundas BI is a fully featured BI platform supporting production BI (reports and dashboards), self-service analytics, and embedded BI. It manages to offer ease of use for superficial users, and considerable sophistication for those whose needs are more complex. Transitioning from surface to in-depth use does involve a steep learning curve, despite the ease-of-use claims – but this is true of any BI platform. Overall Dundas will meet most business BI needs, and interfaces well with R and python for advanced analytics, and it also has multiple APIs for extensibility and openness. Satisfies simple to complex needs. Very open architecture with multiple APIs. Good support for advanced analytics. Excellent support for embedded analytics. Good Microsoft integration for businesses with a heavy Microsoft investment. A complex platform with steep learning curve. Data preparation tools adequate but increasingly uncompetitive. Some users complain of limited report formatting options. Dundas functionality is broad and deep. Businesses of all sizes will find that it offers more than adequate functionality to meet their needs. Production analytics are well catered for with dashboards and reports (paginated if needed), and self-service analytics offer sophisticated visuals and the ability to incorporate python or R for more complex needs. The user interfaces, as with most products of this nature, incorporate drag-and-drop and menu driven tools. The dashboards allow users to filter, sort, group, re-visualize, drill-down and perform advanced calculations, and Dundas BI provides an array of predefined best practice data visualization configurations. The dashboards are web-based and mobile optimized, which enables users to access any data, anywhere with a web connection. Users can build, share and view fully interactive dashboards directly in an HTML5 browser without any additional desktop application. With many dashboard properties, scripting options and a full open API, Dundas BI is customizable and extensible. Dundas BI supports a large number of data sources including RDBMS, OLAP, Flat files, Big Data, Web services and more. Extract, Transform, Load (ETL) capability is built directly into Dundas BI via the data cube layer. Transform nodes in a data cube can be connected together to perform data cleansing or join tables sourced from different databases. The output of a data cube can be stored within the Dundas BI data warehouse for improved performance. Users can also build an in-memory analytical model of the data to enable faster results for analytical queries. Dundas also supports real-time updates – when the data changes in the data source it changes in the report or visual. Dundas has always occupied a middle ground between the behemoths such as Microstrategy and IBM Cognos, and lighter weight products such as Tableau and Qlik. However this very good positioning is being challenged by the likes of Tableau, Qlik and Sisense as they broaden capability. Dundas needs to do more with the automation of analytics and data preparation to remain competitive.